As a kid I loved to watch Days of Our Lives with my grandmother. I didn’t really understand what the show was all about, but I loved the hourglass. As I got older I began to understand what the saying meant. Like sands through the hourglass, so are the days of our lives. Once the sand flows from the top portion of the hourglass to the bottom, it cannot get back to the top again without assistance. The hourglass must be turned over and restarted in order for the sand to flow again. Our lives are very much like that hourglass. We travel through life, getting chance after chance after chance to flow from the top of the hourglass to the bottom again. God flips us over time and time again, forgiving us for our sins, putting people in our lives to travel through the neck of the hourglass with us, giving us chance after chance. As we travel through the neck of the hourglass we should look around and see who is traveling with us. 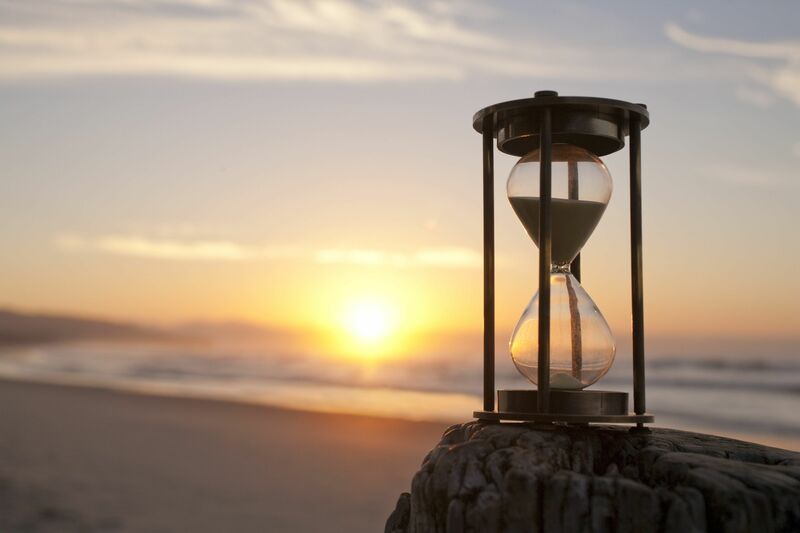 We should pay attention to the grains of sand that pass from top to bottom with us, and notice that when God flips the hourglass over each time we usually have the same people traveling with us. God puts these people in our lives for a reason. We should listen to what they have to say, discuss problems with them, open up to them about what is going on in our lives and see how we can influence them as they influence us. Open your hearts, open your minds, open your lives to the other sands that surround you. You may just find yourself free from the hourglass and on a beach, surrounded by sand for as far as the eye can see. Each grain of sand touches the other. Let’s use our lives to touch others. Matthew 5:16 says “In the same way, let your light shine before others, so that they may see your good works and give glory to your Father who is in heaven.” Let your light shine, let your grain of sand touch and mingle with the others around you. Do this because you truly want to spread the love of God, and not to draw attention to yourself but to spread the love of Christ. Matthew 6:1-34 says” Beware of practicing your righteousness before other people in order to be seen by them, for then you will have no reward from your Father who is in heaven. “Thus, when you give to the needy, sound no trumpet before you, as the hypocrites do in the synagogues and in the streets, that they may be praised by others. Truly, I say to you, they have received their reward. But when you give to the needy, do not let your left hand know what your right hand is doing, so that your giving may be in secret. And your Father who sees in secret will reward you. “And when you pray, you must not be like the hypocrites. For they love to stand and pray in the synagogues and at the street corners, that they may be seen by others. Truly, I say to you, they have received their reward….Our Lord demonstrated this Himself when he told Jarius and his family to keep quiet about raising the little girl from the dead. Should we not do the same? And what about those grains of sand touching and Jesus? How does that figure in? In both the stories in the Gospel this morning, we read how the mere touch of our Lord changed lives. Forever. Remember, everything that you do, everything that you say, has an impact on someone, somehow. Let your light shine. Let your grain of sand touch others. Show, spread, and live the Word of God. Amen.